3 Softwares – Unlimited Use – 1 Fantastic Price! 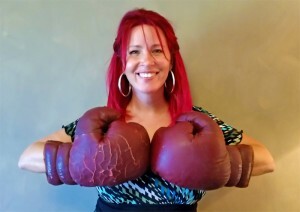 No Other Trivia Software Delivers a More Powerful Punch – Guaranteed! If you’re a DJ looking to capitalize on the trivia craze, you know there are not a lot of choices for good software. Until now! Trivia Punch truly is an amazing product. It’s the ONLY trivia software that gets better from week to week. *Only one mode can be live at a time. Every new DJ that uses Trivia Punch has their own way of hosting their games. When they want a certain feature we build it – and every DJ benefits from that. So you get all the cool features every time you log in and you don’t have to do a thing! Think about that! Trivia Punch already has more features than the other trivia companies out there combined, and it keeps getting better and better! This is the only software that gets updated from week to week and we don’t mean just the questions. We mean if you want a cool feature added our development team will review it and more often than not – make it happen. It’s like having you very own software development team to help make you the best Trivia Disc Jockey around! You play Trivia by your rules, not ours. You decide on the topics, points, skill level, pace & more. You have the option to build your own database of custom Questions & Answers. Unlimited monthly use! That’s right – play it 24 hours a day all month long if you want. You can make it uniquely yours for you and your client. Run beautiful ads throughout the game for you and your client. There are literally infinite ways you can set up and use Trivia Punch. And much, much more! Oh and again – it costs less than the competition! Our full-time creative development team loves to continually add cool features to Trivia Punch. Unlike the competing trivia makers out there, our software developers are like your very own development team here to respond to your request. The best part is with so many DJ’s using it, every one of them benefits from everyone else’s suggestions – including you! The other trivia software companies make you use the software the way THEY want. Trivia Punch helps you use the software the way YOU want. You have the control! Do you have multiple trivia clients? Our multi-tier pricing makes it even more profitable as you grow your trivia business. As you acquire more gigs the price of the licenses cost even less. The best part is no other DJ can try to take that account because only you hold the license for that client. This is the best way to become the leading Trivia Disc Jockey in your area. Compete & Beat the Competition! 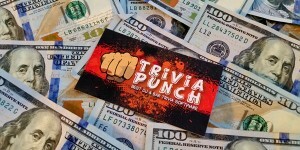 Using Trivia Punch software is the best way to compete with the established trivia DJ’s out there. They are using the old style trivia games and are locked in with them. Bar owners like Trivia Punch better because it does more for them. So when you go up against the competition you look more professional and offer more benefits for a better price. No other Trivia Software can make you look this good. Instantly you are at the top of the list for quality Trivia gigs with the most unique and powerful trivia product for DJ’s on the market today! TRIVIA PUNCH! Contact us today to view a demonstration of our Trivia Punch Software.